Memory Card Recovery Robot is amazing memory card recovery software that allows you to recover your images, Audio, Music, Video or raw files from SD Card, SDHC Card, microSD Card, MMC Card, xD Picture Card, miniSD Card, CF Card, memory sticks and local drive. 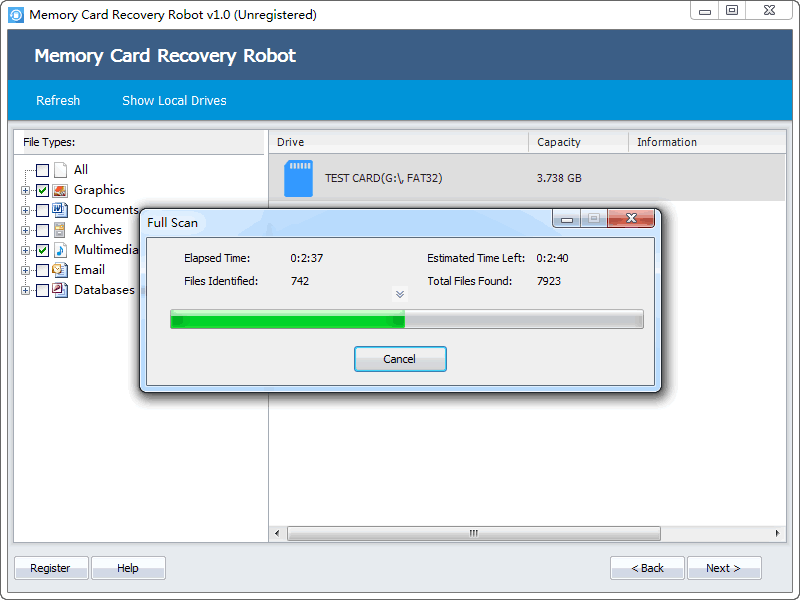 Do not take Memory Card Recovery Robot to be just another memory card recovery software available in the market. Memory Card Recovery Robot comes with powerful features allowing you to deep scan your memory card and recover data from every memory card type mentioned above. Recovery speed is optimized to save your time in the process. Memory Card Recovery Robot's user-interface is made quite easy to be understood at a glance. You will need no help of any source or professional help to recover your lost files from the damaged memory card which is a matter of a few minutes. What's more, if the memory card is physically corrupted for some reason, don't worry - use Memory Card Recovery Robot to access the information stored on it and retrieve it immediately. In most cases, when it comes to corrupted or damaged memory cards, you'll be able to recover all, if not most of the files present on your memory card with Memory Card Recovery Robot. Intuitive interface, making Memory Card Recovery Robot 's use accessible to experts and not so savvy computer users alike. So download Memory Card Recovery Robot today and never worry again about losing important files on your memory card.